So I’ve been trying to pick subjects that also fit in with Halloween and since Beetlejuice isn’t really known for a particular song, I opted for “Nightmare Before Christmas” as my song. That movie has sooo many good songs. 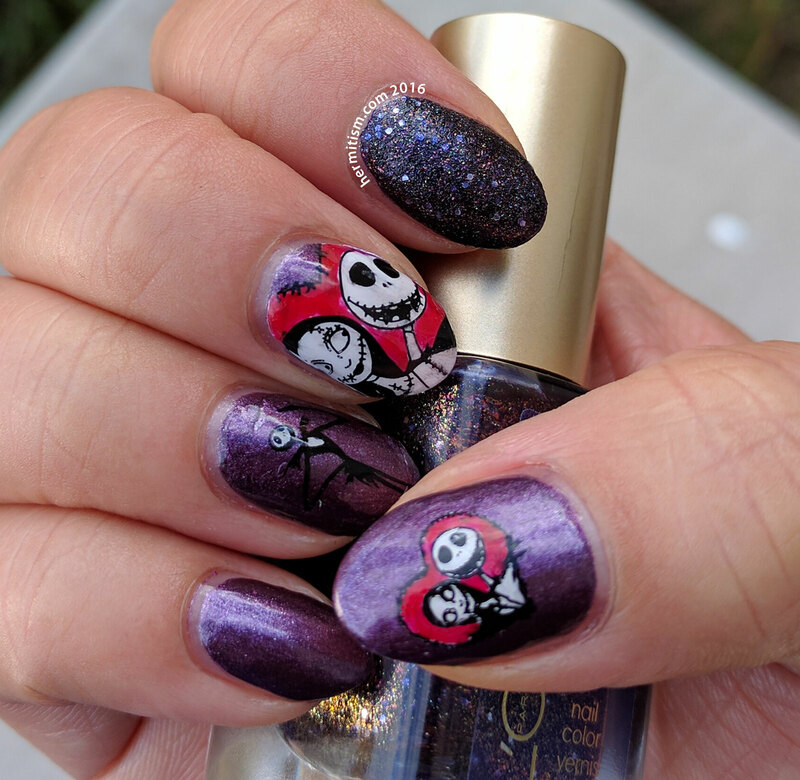 I, however, was also limited by my lazy and the stamping plate I had focused on Jack Skellington and Sally. So let’s say the focus is on Jack’s lament. 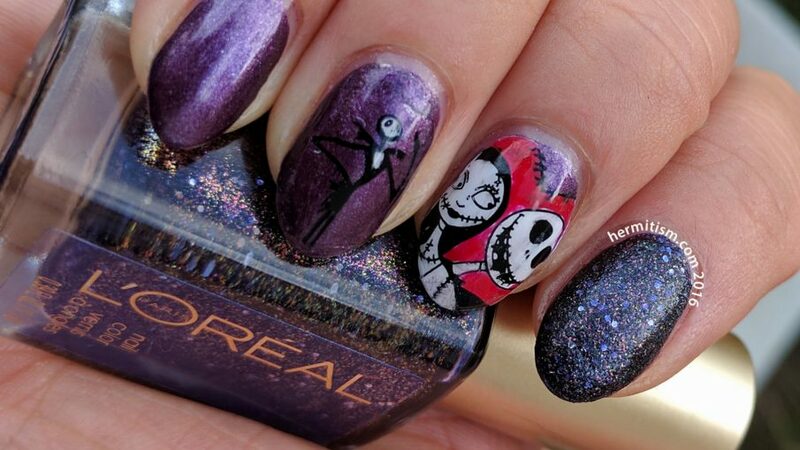 Someday I’m going to do freehand nail art for this movie and it will be awesome. I hope.